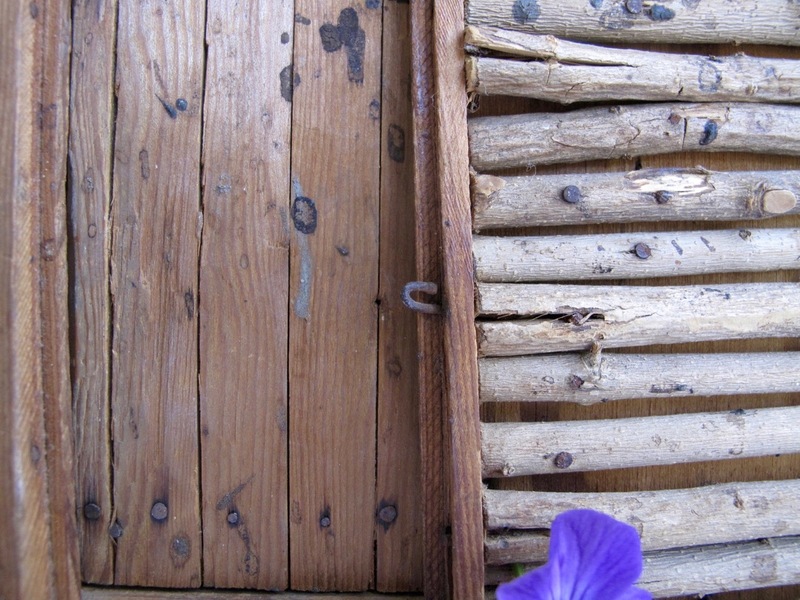 For some time I have enjoyed Norm Frampton’s Thursday Doors feature by way of Judy at New England Garden and Thread. Although I focus my blog on gardens and flowers last week while searching for a vase, I spotted a special door to share. My father was a cabinetmaker as was his father. He worked full-time as a U. S. postal clerk but also managed to run his cabinet shop after work and on weekends. 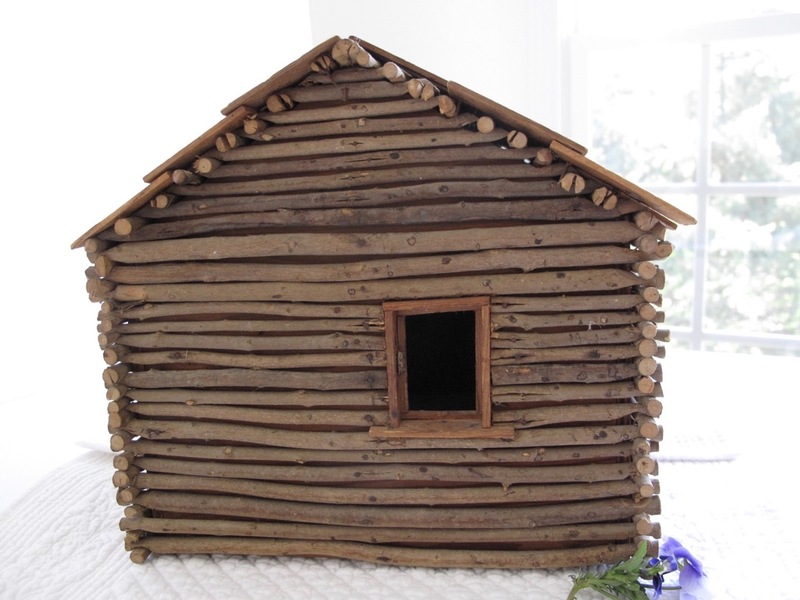 During a slow period one summer when my 3 sisters and I were very young, he fabricated this little log cabin for us. The rustic cabin is an anomaly, quite a departure from his finished pieces crafted for his business, Colonial Cabinet Shop. I have a faint memory of sitting outside in our backyard on a picnic table while he shaped and notched twigs that would become the logs. As this task took longer than a child’s attention span, soon I wandered off to play. At one point the chimney was covered with stones, returned now to the earth somewhere, and a section of shingles has been knocked off. Stones once covered the chimney. At upper left corner and along right-hand side, shingles are missing. On the side wall opposite the chimney is the cabin’s only window. 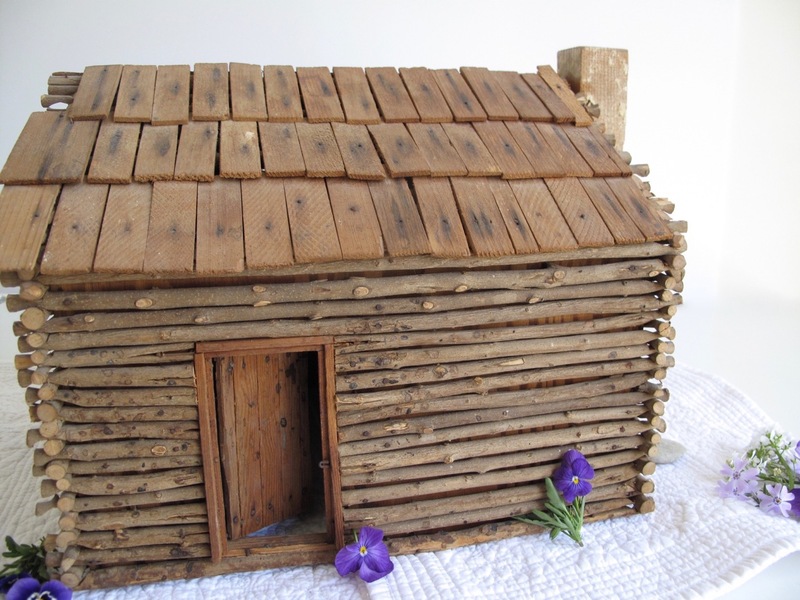 In elementary school when my class studied the American frontier, I remember taking this little cabin to school along with a book report about Abe Lincoln. Many times this door has opened and closed, but not often in recent years. It is nice to share it with you today, a portal back to childhood. A hook from a bent nail formed part of the latch. 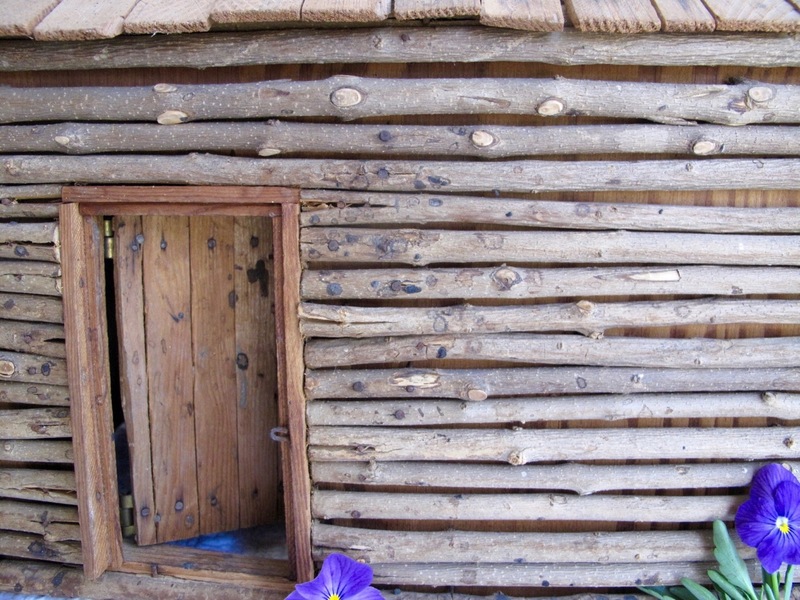 A hole remains where a nail once served as a door knob. This entry was posted in garden and tagged #ThursdayDoors, memoir, photography on April 14, 2016 by pbmgarden. Judy, I know exactly how a glance at your bird house brings on that smile. So many memories stored in objects like these. I find the same in my passalong plants in the garden. Thanks Alice. I’ll have to show you next time you visit. What a lovely reminder of your father and a happy childhood. 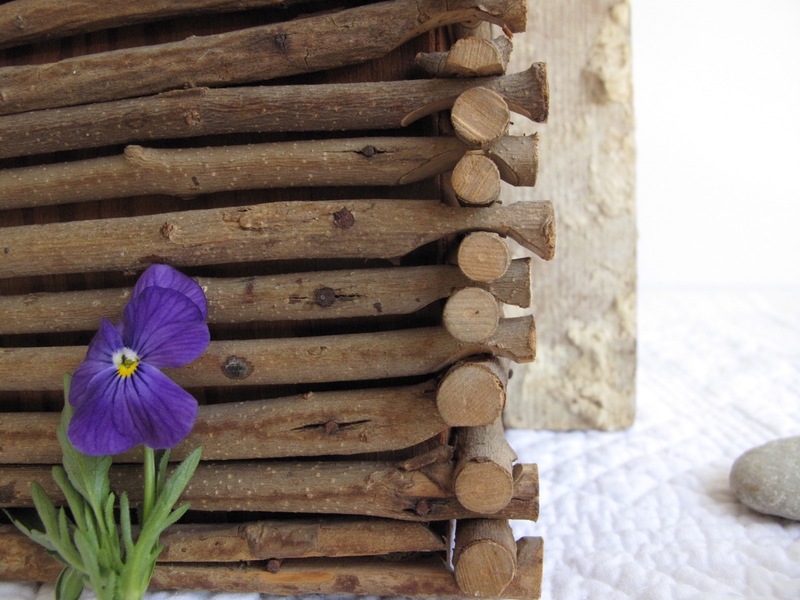 So working with wood is a family gift; your daughter’s work is beautiful. I remember my father making wonderful houses out of sand at the beach; complete with gardens and usually a pond! How innovative and fun, gardens and a pond, that I’ve not seen on sand houses. We always built sand castles with moats that would fill with water. My father died when I was in college and so never had a chance to meet his granddaughter. It delights me to no end when I see her beautiful wood pieces and am reminded of the connection. What a special door that opens to wonderful memories! Thanks for sharing the story. 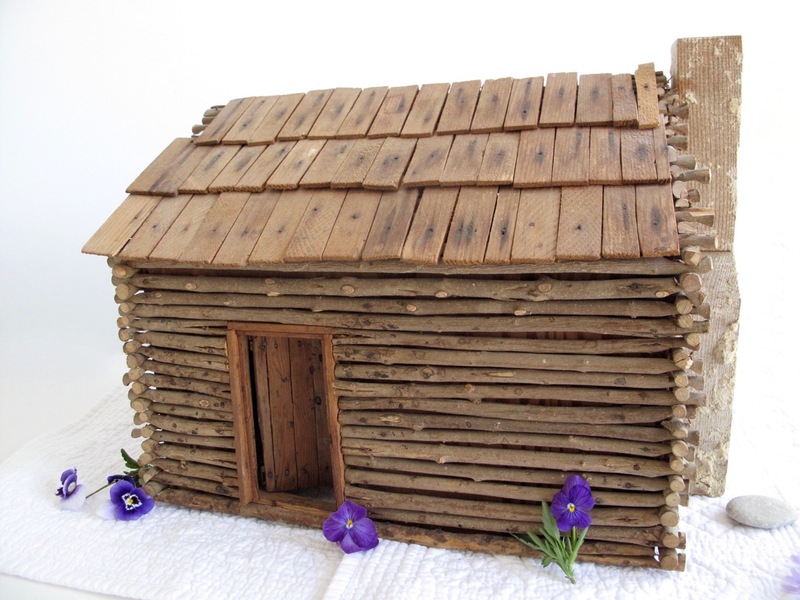 We used to make cabins with Lincoln logs, but of course those were already shaped and our creations were nothing like this. Thank you. Oh, Lincoln logs were great fun. What a little treasure. Thanks for sharing this tiny replica. Thanks, I had intended only to show the pictures, but memories started flooding back. You are fortunate to have such a piece to remember your father and your youth. I am indeed. It’s a special object. The father/daughter bond is always a strong one. How very special to have this reminder. It’s a wonderful artifact even without the memories that go with it. Thanks Ricki. We were fortunate to spend a lot of time with our father. He even taught us how to cook many dishes, so we could have dinner ready when my mother got home from work. Thank Vicky. There are so many memories packaged up. Surprising which ones bubble to the surface. This is delightful. Thanks for sharing with us. Thanks, it was a pleasure. Thank you Norm. It was so nice to be able to share this little door. Thanks for hosting. Your post is so lovely Susie, what a wonderful glimpse back into your childhood, your Dad was very talented too. Memories and reminders like this are priceless. Thanks you Julie. It’s funny how those memories flood back sometimes. I hadn’t intended to make a story, but merely was going to post the pictures. My younger sister was happy to read this. She said she didn’t remember him making the cabin, just playing with it. What a wonderful piece and such a memory! 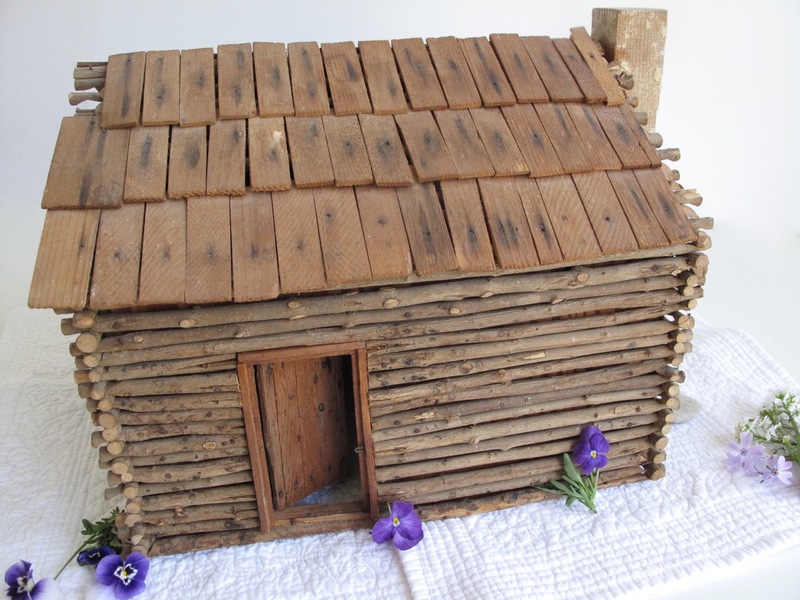 My mom’s brother made her a beautiful doll house when she was little and they we all played with it when we were small. Thanks Linda. I can imagine the fun you had with the doll house. Thanks for sharing that. It’s a wonderful gift and treasure! 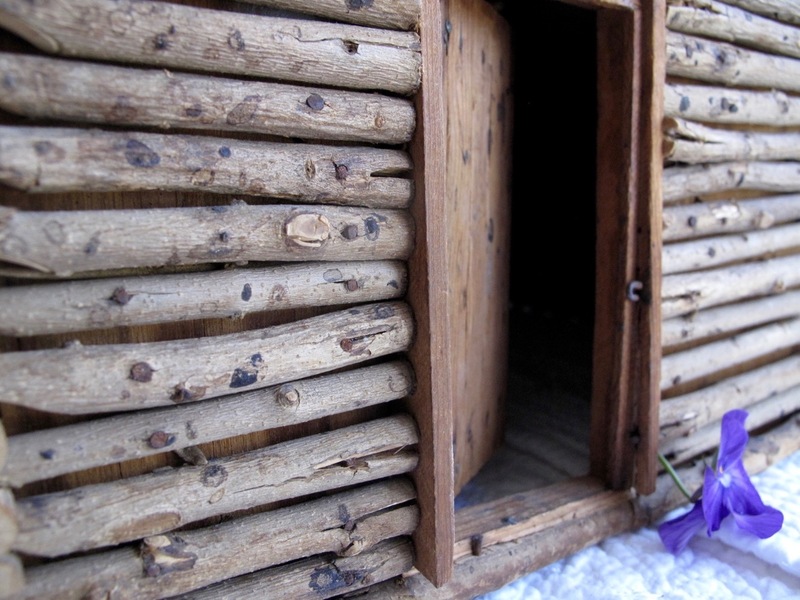 I have a dollhouse my Mom made for me that I love and treasure. Thanks, yes I think so too. The dollhouse your mom made sounds very special too. Thanks Beth, I had such fun remembering those pleasant childhood days. What a wonderful little cabin. Thanks for sharing it with us. Great craftsmanship. Thank you for your comment Dan. The little cabin has always delighted me. What a wonderful memento to have of your father. It was obviously made with great skill and love. Thank you for that Jason. That is so lovely, the cabin and the memories it invokes. Thanks Jean, it’s a special memory holder. What a wonderful treasure Susie!!! I would have adored that as a child! Very special. Thanks for showing and sharing. Thanks for visiting my show-and-tell Libby. The cabin is a treasure. 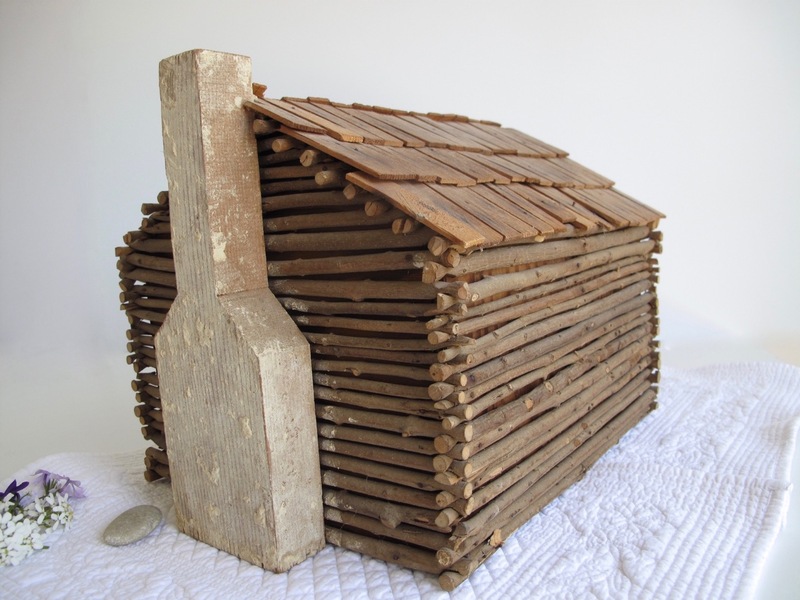 Amazing little log cabin and a wonderful story.